With an increasing number of technology providers offering their services to growers with the aim of solving very specific problems or offering service in a small niche of agriculture, I see more and more ‘silos’ forming in the ag-tech landscape. And I’m not talking about the nice, shiny kind that help growers store their wares until they are sold, but the kind of intangible silos that prevent providers from different parts of the landscape from working together. Industry experts are warning us that sharing data with advisors and peers is key to improving global agricultural productivity, which is imperative for obvious reasons. PepsiCo Europe Senior Procurement Director of Agriculture David Wilkinson, for example, writes in his latest blog post that “the use of precision agriculture techniques is starting to revolutionize sustainable food production by delivering breakthroughs in efficiently managing natural resources.” He also states that “collaboration is crucial to creating change for the better at scale. This is a principle that all stakeholders should embrace in everything they do,” and he is not alone. Increasingly the need to share knowledge in order to encourage best practices is becoming apparent in agriculture globally. It is for this reason, and many others, that I see the collaboration between co-op, agronomist, and grower to be more important in the future than ever. However, much the value chain might change in the future, ag tech has the power to make those adapting to a collaborative service model more relevant than ever. Most ag tech aims to enable growers in making more profitable decisions; growers already work with a range of providers to help them make these decisions and it is therefore only logical to supply new information to these providers, so they can help the grower make more profitable decisions. Growers don’t want to, or need to for that matter, speak to a group of extra ‘advisors’. Just ask any grower whether he is interested to get visited by another 10 additional seed sales reps this season and you’ll get the same answer that I got on many occasions. By growers, agronomists, and other service providers using tools they can all collaborate on, we can create the ‘virtual kitchen table of the future’. Where growers once used to sit around the kitchen table with their trusted advisors, this will increasingly become a digitized process. It is critical however, for ag-tech advisors and other providers to ensure they provide real evidence on how they help growers, efficiently manage their risk and reward. In other words, they need to make sure that the benefit perceived by their clients consistently outperforms what anyone else can offer their client year in and year out. Already now I see many agronomists embrace technology and aim to be the “ag-tech advisor” to their growers. In the future, advising growers and helping them plan will be essential for these advisors to stay relevant. Farming businesses, like any business, work with business plans to cover topics such as succession, finances, production, human capital, and technology. For ag-tech advisors to collaborate with growers on these plans, means that they collaborate on managing risks and increasing rewards that these plans bring with them. By having this digitally-strengthened relationship with their growers, advisors can ensure they remain relevant moving forward. I had a chat with Scott Freiberger, Agronomist with Valley Agronomics in Idaho just last week, who described this as: “Working with the grower on a digital platform has helped tie us as a company a little closer to our growers as our crop advisors are sitting down with them and planning next year’s crop.” It is up to technology providers, however, to enable agronomists to do so and provide them the tools for this; forcing agronomists and growers to work with a plethora of apps and a multitude of different data layers that cannot be combined, won’t help anyone. When we originally started Agworld, our goal was to help farmers manage their risk and reward for long-term profitability; I think that this should be front and center for everyone aiming to provide digital services to growers. Because in the end, the main metric of success for service providers is whether their growers are successful. Of course, everyone has a right to make money, but across the value chain there are businesses actually placing more risk on the grower. Growers are the compression point in the value chain and if the grower disappeared many others would also, so who is delivering genuine and measurable value? 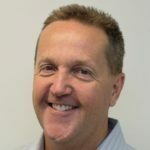 Doug Fitch is the Chief Executive Officer and Co-founder for the global information management business Agworld, which began its commercial operation in December 2009. He has been involved and contributed to the agricultural industry for the past 34 years, working on farm, and for both small businesses and multinational companies holding leadership positions, working in sales, organizational structure and business strategy. With a Bachelor’s Degree of Business Administration and Diploma of Business in Leadership, he remains passionate contributing positively to the challenges farmers face in the space of information management and decision making. See all author stories here.